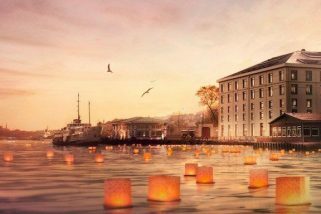 The hip, artsy boutique-hotel brand Mama Shelter has set up shop in Istanbul. 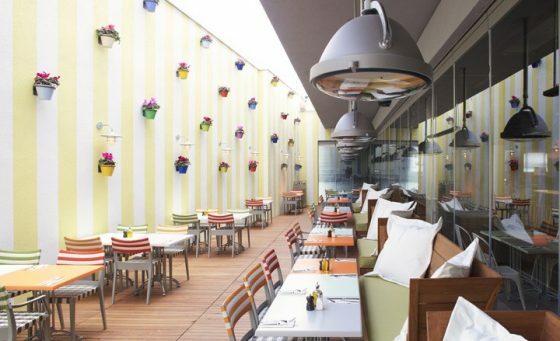 The Parisian hotel created by French designer Philippe Starck in partnership with former Club Med chief executive Serge Trigano. Mama Shelter Istanbul follows the success by Mama Shelters in Marseille, Lyon and Paris, the hotel is located in Istiklal Caddesi, one of the liveliest streets in Istanbul. Set over three floors at the top of a new department store on Istiklal Caddesi in central Istanbul, the 81-room hotel has Mama’s usual mix of humour and fun. 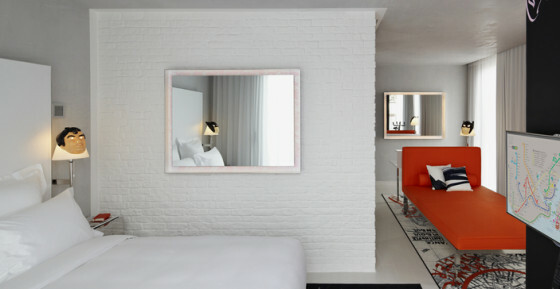 Like the other properties, Mama Shelter Istanbul is designed by Philippe Starck and features guest rooms with whitewashed walls stippled with pops of orange. The communal bar hosts a programme of hip DJ parties to attract young Turks, who begin the evening at the restaurant. The menu offers a mix of local and European fare by Michelin three-star chef Alain Senderens and features his special boeuf bourguignon with mashed potatoes. A roof terrace, serving an equally delectable menu of cocktails, is bound to be a summer hit. There is free WIFI everywhere, the bar offers really good drinks and breakfast. Mama Shelter, like Istiklal itself, belongs wholeheartedly to the new Istanbul, and the combination of style, comfort and price makes it hard to beat.